Last year, I took my own recommendation and bought shares of Ford Motor (NYSE:F), attracted by the fat 5% dividend yield of Ford stock. The 15 cents per share dividend hasn’t changed since then, but the yield now exceeds 6.5%. However, the shares are down over 20% from where I bought them. Either this is now the biggest bargain for income investors of the century or something is seriously wrong with the company. Many analysts are now saying that there is something seriously wrong with Ford. Jim Hackett, hired as the company’s savior in May 2017, now looks to some analysts like the man who is destroying Ford. His decision to essentially stop producing gas-powered cars and focus on big-profit SUVs and pick-ups, is now seen as a disaster waiting to happen. Ford’s decision to lay off workers and cut production in the face of the Trump administration’s tariff war may be the last straw for some analysts. As of this writing, analysts on average are expecting 33 cents per share of earnings on $35.57 billion in revenue when the company reports its third-quarter results on Oct. 24. If Ford’s results are in-line with those estimates, Ford would have enough money to pay its 15 cent per share dividend twice over. Ford stock price, which has fallen below $9 per share, indicates that analysts are expecting the automaker to cut its dividend. I think that the company decided to carry out layoffs so it would not have to take that step. Noting the profitability of Ford’s trucks and confident that its move to all-electric passenger vehicles made sense, I continued to pound the table for Ford stock, even as Ford stock price has fallen. Bears have been especially concerned by Ford’s decision to take $11 billion in restructuring charges over the next three years as it implements Hackett’s plan and (for now) develops self-driving cars on its own. It’s true that Hackett is not a car guy. He previously ran Steelcase, a metal furniture maker, and has extensive contacts in Silicon Valley. He’s also the guy who hired Jim Harbaugh as the University of Michigan’s football coach, and that decision hasn’t turned out so well. But there’s still hope for Ford stock. At its Oct. 10 opening price of $8.95 per share, Ford stock has a market cap of $35.8 billion. Rival General Motors (NYSE:GM) has committed to using its own self-driving car tech, and Alphabet’s (NASDAQ:GOOGL) Waymo seems to be committing to Fiat Chrysler (NASDAQ:FCAU), as it’s putting its technology into Chrysler Pacifica vans. But there are potential partners for Ford other than Waymo. Nvidia (NASDAQ:NVDA) has a self-driving car program. So does privately-held Uber. So does Apple (NASDAQ:AAPL). What the technology companies need to enter the autonomous vehicle market is a company that makes cars. Ford makes cars. Hackett came to Ford with a reputation for making deals with Silicon Valley. He can still make a deal, and Apple could buy Ford with pocket change. If Ford partners with a major technology company to build autonomous vehicles, the valuation of Ford stock would probably double. 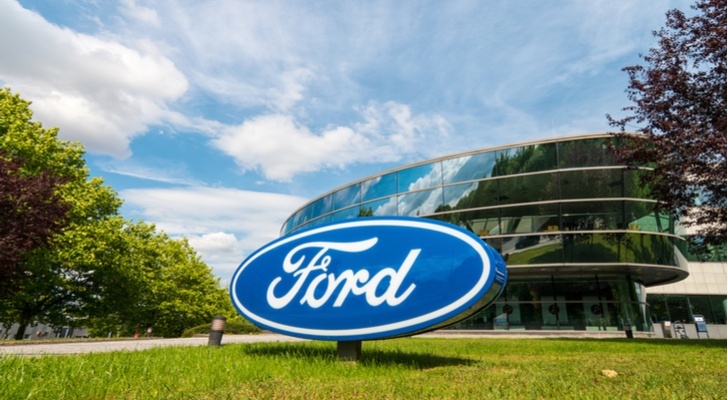 My guess is that if Ford’s Q3 earnings come in below expectations, the market value of Ford stock would drop to $30 billion, making the company an irresistible takeover target. That’s pure speculation, but while I’m waiting, I still have that yield. I’m not bailing on Hackett or Harbaugh. Not yet. Dana Blankenhorn is a financial and technology journalist. He is the author of a new mystery thriller, The Reluctant Detective Finds Her Family, available now at the Amazon Kindle store. Write him at [email protected] or follow him on Twitter at @danablankenhorn. As of this writing he owned shares in F.
Article printed from InvestorPlace Media, https://investorplace.com/2018/10/ford-stock-has-an-enticing-dividend-yield-and-multiple-potential-catalysts/.